Volgograd, formerly Stalingrad, originated with the foundation in 1589 of Tsaritsyn at the confluence of the Tsaritsa and Volga Rivers. The fortress Sary Su (a local Tatar language name meaning: Yellow Water/River), was established to defend the unstable southern border of Tsarist Russia. It soon became the nucleus of a trading settlement. It was captured twice by Cossack rebels, under Stepan Razin in the rebellion of 1670 and Yemelyan Pugachev in 1774. Tsaritsyn became an important river port and commercial center in the 19th century. The original name of the city, Tsaritsyn, was first recorded by English explorer Barry in 1579, though he did not refer to the city, but to the island on the Volga. The origin of the name is usually traced back to the Turkic "Sary-Su" (yellow water) or "Sary-Sin" (Yellow Island). The date of the founding of the city is considered to be July 2, 1589, when the fortress Tsaritsyn was first named in a royal charter. The fortress was located slightly above the confluence of the Volga River Queen on the right bank. Before Tsaritsyn, in the mouth of the river, there was a settlement of the Queen of the Golden Horde. In 1607, the fortress was in revolt against the king's troops but was suppressed six months later. In 1608, the city had its first stone church, St. John the Baptist. At the beginning of the 17th century, the garrison consisted of 350-400 people. In 1670 the fortress was taken by troops of Stepan Razin, who left after a month. In 1708, the fortress was held by insurgent Cossacks Kondrati Bulavin. In 1717, Bulavin was sacked by the Crimean Tatars and Kuban. Later, in 1774, the city unsuccessfully stormed Yemelyan Pugachev. In 1691, Tsaritsyn established customs. In 1708, Tsaritsyn was assigned to the Kazan Governorate; in 1719, to Astrakhan Governorate; According to the census in 1720, the city's population was 408 people. In 1773, the city became the provincial and district town. From 1779 it belonged to the Saratov Viceroyalty. In 1780, the city was under the Saratov Governorate (later as a province). The population expanded rapidly during the 19th century, increasing from fewer than 3,000 people in 1807 to about 84,000 in 1900. The first railroad came to the town in 1862. 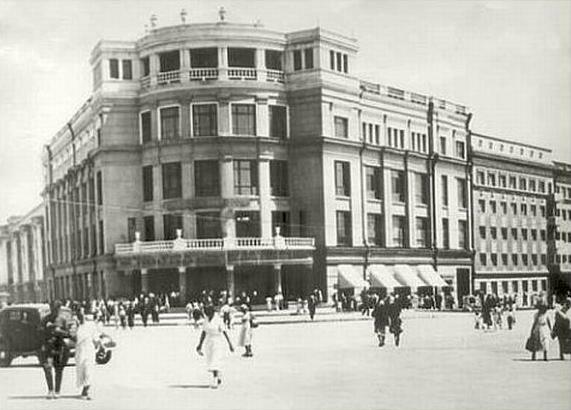 The first theatre opened in 1872, the first cinema in 1907. In 1913, Tsaritsin's first tram line was built, and the city's first electric lights were installed in the city center. During the Russian Civil War Tsaritsyn was under Soviet control starting from November 1917. In 1918, Tsaritsyn was besieged by White troops under Ataman Krasnov. Three assaults by White troops were repulsed. However, in June 1919 Tsaritsyn was captured by White forces of General Denikin, which left the city in January 1920. This was known as the Battle for Tsaritsyn. The city was renamed Stalingrad after Joseph Stalin on April 10, 1925. This was officially to recognize the city's and Stalin's role in its defense against the Whites in 1918-1920. 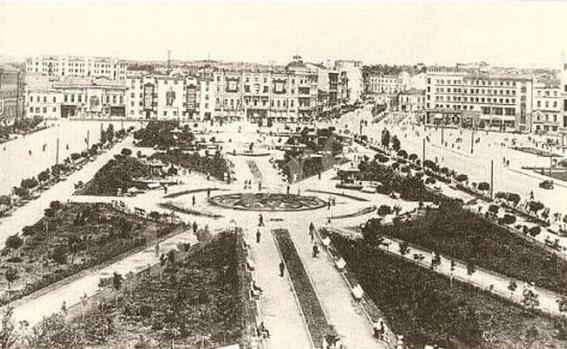 In 1931, in the city including the German settlement-colony Sarepta (founded in 1765), subsequently became the largest area of the city — Krasnoarmeysky. The first institute was opened in 1930, a year later was opened and the Pedagogical Institute. Under Stalin, the city became a center of heavy industry and transshipment by rail and river, and as a result was attacked by Axis forces during World War II. In 1942, the city became the site of one of the pivotal battles of the war. The Battle of Stalingrad saw perhaps the greatest casualty figures of any battle in warfare (estimates are between 1,250,000 and 1,798,619). The battle began on August 19, 1942, and on Augsut 23, the city suffered heavy aerial bombardment that reduced most of it to rubble. By September, the fighting reached the city center. 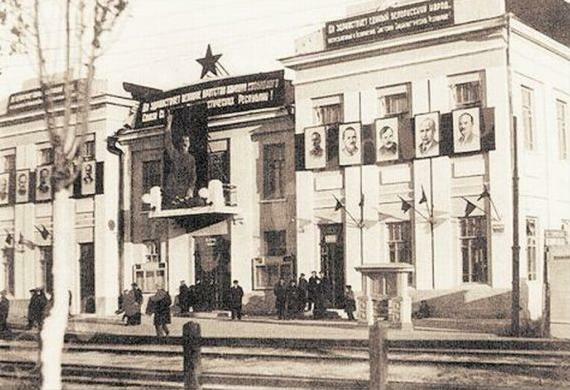 The fighting was of unprecedented intensity; the central railway station of the city changed hands thirteen times, and the famous Mamayev Kurgan (one of the heights of the city) was captured and recaptured eight times. By the winter of 1942–43, the German forces controlled 90% of the city, and had cornered the Soviets into two narrow pockets. On November 19, Soviet forces launched a massive counterattack. This led to the eventual encirclement of the German Sixth Army. On January 31, 1943 its commander, Field Marshal Friedrich Paulus surrendered, and on February 2, with the elimination of straggling German troops, the Battle of Stalingrad was over. This heavily industrialized port, rail junction and regional capital has been built from scratch since 1945. Now today Volgograd is the administrative and economic center of the Lower Volga Region and is also the major transport center of this area. The Volga-Don Canal connects the Volga and the Don rivers and so makes Volgograd a port of five seas: the Caspian, the Black, the Azov, the Baltic and the White. 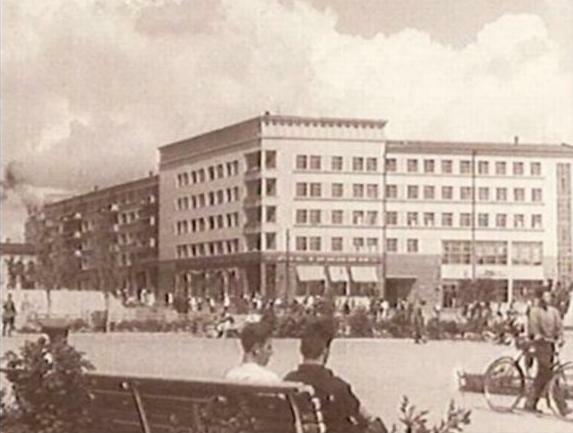 The city was renamed Volgograd in 1961.